While it’s hugely fascinating to dig back through old records to make the connections in your family tree, there’s nothing more frustrating that hitting the snag of language. As immigrants moved from one country to another, they brought their language with them. Unless the native languages of your ancestors trickled down to you, you’ll be at a loss when you start to pull up old letters or journals written by your ancestors. Even official documents from the old country would likely be written in a language other than English, stopping your search dead in its tracks if you can’t come up with a way to get the information you need. In some cases you may be able to find a relative that still speaks the language well enough to translate it for you. This would likely be true if you’re a recent immigrant with only a few generations of family in a new country. In some cases the old languages are remarkable similar to what is spoken today making it easy for the language to carry on. Castilian, or formal Spanish, is a perfect example. In other cases, languages have died out over the year, but you might get lucky and find a built-in translator, but if not, you have other options. There is an auto-translate function of Google as well as any number of online language dictionaries and programs. In most cases, these programs will give you a very rough translation – nothing at all like the translation of actual people working through the old languages, but at least you’ll get a very rough idea of what the documents are saying. If you’re just looking for a gist of the message, a dictionary will give you enough words to understand the point of the list, even if it’s not enough to let you in on the full story. This would be perfect for a list of names that you don’t understand, but not as great for family letters. You genealogy documents might be in a language still spoken today, even if it’s not spoken around you. In this case you can easily find a translation service. Look online or through the listings in your area to find a professional. Don’t despair if you realize you’re dealing with a version of the language that isn’t spoken or read today. There are scholars who spend their entire professional careers working with the languages or forms of handwriting we’ve forgotten. Again, this detailed search can be done online to find professional scholars and translators. It isn’t a free service, of course, but when it comes to a hobby as impressive as genealogy, it can be considered money well spent. Rebecca Garland is a veteran freelance business writer working hard to populate the internet with relevant, interesting content you can actually put to use. With advanced degrees and certifications in business, engineering, education and information science, Rebecca enjoys topics ranging from old handwriting and languages and genealogy to parenting and education. Are Genealogists Desensitized to Horrors and Tragedies? This database contains the diary of James Maggs written between 1818 and 1876. James Maggs was, among other things, a respected schoolmaster in the town of Southwold. He was interested in maritime events and lived in the coastal town of Southwold in Suffolk County for much of his life. Hubs' 5th great-grandfather was James Martin (ca 1781-1842), owner of the Red Lion Inn in Southwold. A search of his name brought up several references including a first-hand account of his death in 1842. James died while firing a cannon to celebrate the Prince of Wales' birthday. This was a yearly event and townspeople gathered for the fun and excitement of hearing the town cannons firing their salutes. But this year the cannon firing had tragic consequences for poor James. On Nov. 9, 1842 on occasion of Prince of Wales' birthday and election of mayor, "our guns (cannons) were fired [and] one of the Preventive officers, James Martin, was, as is supposed owing to ye N.E. cannon not being carefully sponged, killed upon the spot - deceased was in the act of ramming her charge"
2. A cannon ball wasn inserted in the barrel and a ramrod used to push it all to the back or bottom. 3. A fuse was placed in a small hole drilled in the top back of the cannon that led to where the powder bags sat. If a cannon was being fired repeatedly the inside of the barrel had to be swabbed out between each shot to remove any burning coals. Apparently James, or an assistant, didn't take the time to do this properly and the cannon exploded when he rammed the powder bag into the barrel. For genealogists this is the kind of detail we long for. But often we lose sight of the tragedy itself and how it must have affected others. Imagine the shock of the crowd. Little children playing, perhaps eating sweet treats on this special day when suddenly someone is blown to pieces before their eyes. It must have been horrifying. But we genealogists become somewhat desensitized to the horrors and the tragedies and simply add the notations and sources to our genealogy programs to share with other family members. Poor James. I wish we knew more about him other than this gory death. But I admit that hubs and I could hardly wait to share James' fate with the rest of the family. It seems that the gorier the details, the happier we genealogists are. What are your thoughts? And how can we ensure that we retain our humanity by caring about each ancestor as a real once-living person and not just a name and date in our database. Don't miss tonight's episode of Who Do You Think You Are? with Kim Cattrall. Tonight Kim unlocks the 70-year-old mystery behind her grandfather's abandonment of his young family. Ancestry.com has once again partnered with NBC in Season 2 of Who Do You Think You Are? I'm looking forward to tonight's episode! Friday at 8/7 Central. One of my friends posted a one line status update today on Facebook. It was a rhetorical question "What did we do before the Internet!" but it got me thinking. What DID we do before the Internet and Social Media? I don't know about you, but I wrote lots and lots of letters. Snail mail letters. I wrote personal letters to family and friends - page after page of news of what was happening in my life and asking about theirs. I wrote letters responding to queries in genealogical magazines. And then I waited eagerly for the replies. Hearing the mailman drop letters through my front door mail slot was my bright spot of each day during the week. If I saw the return address of a friend or relative, or even better a large manilla envelope from a name I didn't recognize I would refrain from tearing the envelopes open. Instead it became a daily ritual - make a cup of tea then sit down on the couch and slowly open each letter (prolonging the anticipation much like I do at Christmas when opening presents). I'd spend an hour sometimes reading and re-reading what I'd received. Part of me misses those days! Now I correspond via email - and my emails are usually succint, to the point and don't give too much personal information just in case I hit the wrong email return address! There's pros to email correspondence. It's fast. And it's efficient - no wasted words, no "Dear so and so" just gttting to the point. In 1993 I joined a BBS system. I dialed long-distance to Toronto to connect to their BBS (I can't recall the name) to read messages from other genealogists. It was thrilling! Using DOS I could post messages either on the message board or privately to other users. It took a minimum of 2 days for those messages to be posted and replies made. But it was expensive. After a few months I discovered there was a local BBS that could link up with many other BBS systems all over N. America. I was quick to join. It seems very archaic now but I had to drive out to a nearby town and see the Administrator to find out how to link in to his system. Once I joined in, I had free dialup as it was a local number. But now I had to wait 4 days minimum for messages and private mail to go out and replies come back. That early BBS system was another highlight of my daily routine. I was hooked! I can't recall specifics but I know I managed to log into Compu-Serve and join message rooms. I think I remember using FidoNet. It was all great fun and seemed very very high-tech. Then a friend I'd "met" in a Compu-Serve room twisted my arm to try out this new thing called Windows. He claimed I'd never go back to DOS again. And that really was my first time on the Internet. I think it was 1994 but can't remember for sure. Websites were battleship grey with black text. There were mostly libraries and archives websites, Rootsweb didn't exist, Ancestry.com wasn't around and none of the big sites we are used to were in existence. I think Mosaic was the browser I used. I remember I signed up for Internet connection in the fall. I didn't think too much of it the first few weeks. I got lost trying to find things. I ended up in places like a library in Norway when trying to look for genealogy rooms (sites). I decided to give it 3 months and if things didn't improve I was cancelling my service. It took a few months but I finally kind of got the hang of it. I could find some genealogy sites and check them out. But there wasn't much there! It was costing me a fortune as my internet connection was through Toronto (long distance). But then a local entrepeneur set up a service called Bconnex. I was the first person in town to join. in late 1995, a friend convinced me to start my own website. Olive Tree Genealogy was born. It didn't have a domain name of its own. It was just a tilde site off my bconnex connection and had only a tiny bit of storage. In February 1996 I joined the fledgling Rootsweb.com servers, being one of their first sites. What else did we do before the Internet? We played games - cards, Scrabble, Monopoly... I still play Scrabble but I play it online through Facebook. I don't play in real time - my brother takes his turn, my sister takes her, and I take mine. Sometimes it takes an entire day before we have all taken our turns. There is little interaction, occasionally one of us will post brief message. What else did we do before the Internet? If we went out to a restaurant we talked. We laughed, we socialized. Now we take peeks at Facebook and Twitter on our iPhones or Blackberries. What else? We used to go to stores and shop. We interacted with sales clerks, and sometimes with other customers. We touched and tried the items we were considering buying. Now we can go online and with a few clicks our shopping is done. Often our purchases arrive the next day. Those of us doing genealogy research went far afield - to local museums, archives and libraries. We slogged through microfilm, reel after reel, screen after screen. Nothing was indexed and finding an ancestor in a census record meant looking at one page after the next, reading every name until that magic moment when an ancestor's name jumped off the page at us. It was a lot of fun, especially if you had a friend or spouse with you. Now we go to a website, use the search engine to type in an ancestor's name and bingo - with any luck, there he or she is. Yes, it's fast and it's efficient, but is it as much fun? Don't get me wrong. I love the internet! I love technology. I love the speed of genealogy research online. I love connecting with family and friends on social media sites like Facebook. But there are things I miss about pre-internet. I miss the sound of the mailman dropping that long-anticipated mail through my front door slot. I miss long newsy letters from long-distance friends and family. 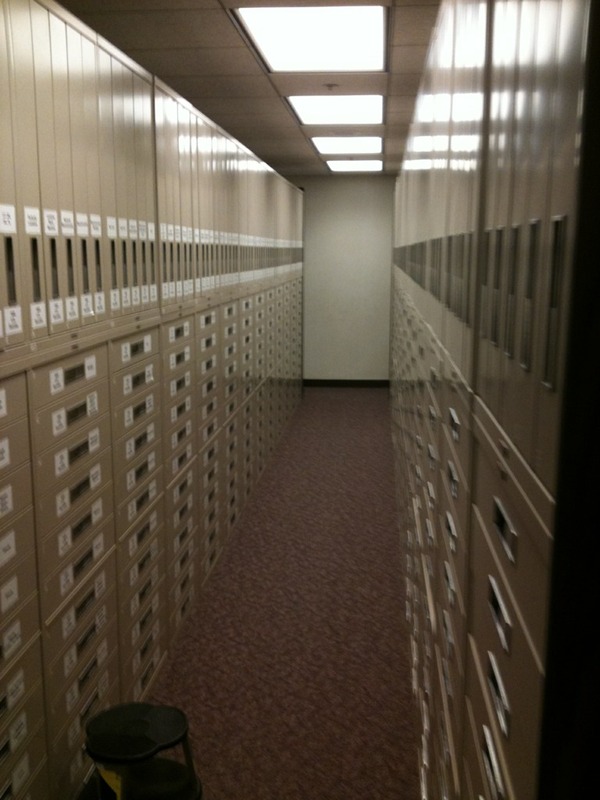 Most of all I miss the feeling of accomplishment and excitement after slogging through endless reels of microfilm and finding an ancestor. My hope is that no genealogist thinks all research can be done online! My hope is that we all put our phones away for that hour or two over dinner. My hope is that we make time for simple pleasures that take place with one on one interactions in the real world. But no, I wouldn't want to give up the Internet or my iPhone, Ipad, MacBookAir, Jambox and other delights! But I will make time in my life for more simple, non-technological pleasures too. I've been using a nifty little free productivity program (app) called Springpad. It's similar to Evernote which I also use and really like. But I'm kind of getting Springpad and having fun with it! Springpad is designed to help you organize your daily life in an effective and visually pleasing manner. 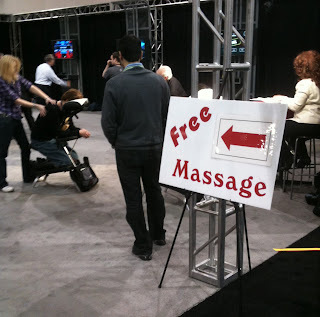 Best of all, it's free. Springpad has plenty of templates for organizing the most common work-related tasks such as shopping, recipe planning, grocery lists and so on, but users can easily create their own custom lists of tasks. You can also write notes and save them in folders which you name. I started a folder called "Lorine's Blogs" and in it I keep a list of blog post titles and ideas - topics I might want to write about. I also write some of my blog posts and save them on Springpad rather than compose them directly in Blogger (which is the blog format I use). This also allows hubs to proof-read my posts before I publish them. Hubs also writes a genealogy blog (Ancestors At Rest) but he likes me to proof-read his posts before he publishes them. It wasn't working well for him to save them as drafts in Blogger, because I couldn't make changes if I wanted or needed to. So now he uses a folder in my Springpad where he writes and saves his blog posts and I go in and add suggestions or correct typos. 1. You can easily create a research to-do list in the Check List area. Then when you are at a Library or Family History Centre or even a local museum you can easily open Springpad and look to see what's on your list of items. Did I mention you can get the Springpad app for your mobile phone or iPad? That allows you to access your work from any of your devices. 2. In the Task List area you can create a "Task" for each ancestor you are currently researching. Enter some basic facts (birth, marriage, death) as well as location and time periods for that ancestor, and add a point form list of their spouse and children and you have a mini-genealogy group sheet at your fingertips. I like to list all the census records that my ancestor was alive for - and beside each year I tick off if I have found them (and where). That allows me to very quickly determine if I need to have a search in a specific census year or years. Inside "All My Stuff" you see Flagged Stuff (items you have flagged) and Alerts (items for which you've set a reminder). Then you see Types and under that are your choices of Notes, Tasks and Check List. Simply click on one and start writing or open a previously saved item. The last section is Tags. This is where you will see tags (keywords) that you have added to your notes which help you find and organize what you've added. One of my Tags is "Sharing Memories" This is a tag I will add to any Sharing Memories posts I write and save in Springpad. By clicking on that tag, all my posts tagged with that phrase will display for me. I've tagged several of my notes with the words "Interviews" and "RootsTech" Clicking on either of those keywords brings up all notes or tasks for that tag. Under each file you have created, there are tiny icons which display in bold with a pop-up one line of text to explain what each is for. One is to add tags (keywords), one toggles privacy (you can make your posts public or keep private), one toggles the Flag status and one allows you to add the note or task to a notebook. There's much more you can do with Springpad but let me leave you with this brief overview. As I play around with it over the next few weeks I should be able to write more about this productivity tool. It'd be great if readers could jump in with their own ideas or uses for Springpad for genealogy. Non-Disclaimer: I really like Springpad and receive nothing from the company for telling you about it. In fact they've never heard of me and don't even know I'm writing this review/tutorial! The Things I Never Knew! My maternal grandmother used to tell me stories. Stories of her youth, her brothers and sisters, her parents and her growing up years in Ramsgate, Kent England. I thought I knew almost everything there was to know about Grandma Ruth. I loved hearing about her father who drove a coal wagon, but who suffered from epileptic seizures, often during his deliveries. His horse knew the route so well it would carry on house to house until the route was done, then bring my great-grandfather back home. Her mother ran a boarding house. Grandma was sickly as a child and developed a tick, a nervous little cough and shake of the head. One of her brothers died as a teenager. And on and on it went. Grandma told me the same stories so many times I had them memorized. I was lucky when I began my genealogy quest into her lines, I knew her grandparents' names, I knew where her ancestors were born, where they lived, what their occupations were. I knew all about Grandma's siblings, in fact I met several of them during my own childhood. But yesterday I decided to search the 1911 census online on 1911census.co.uk I hadn't done this before because I figured I wasn't really going to learn anything new so why pay for credits to see the image(s). I say images because my maternal grandfather was also born in England and he too would be in that 1911 census as a teenager. But I was pretty darn sure there was absolutely nothing *new* I could add to my knowledge of the families from the 1911 census. The 1911 census for 10 Chapel Place, Ramsgate showed my grandmother Ruth as a 17 year old. Her siblings at home were as expected - Lilian, 25 and Sydney, 12. Her grandmother Sarah Simpson, a 70 year old widow, lived with the family. And her father David and mother were also listed, her mother's occupation shown as a boarding house keeper. But there were two surprises and a few interesting new facts. Surprise #! : my great grandmother who I knew as Sarah Jane Simpson, listed herself as "Jane". I'd never heard her referred to by her middle name. Since she is the person who signed as having filled out the form, I'm going to assume she knew what name others called her. Surprise #2: My grandmother Ruth was listed as being a milliner in a showroom. I never knew she made and sold hats! Why didn't she ever talk about that? I have seen photos of her beautifully dressed as a youngster and as a married woman. Her two little girls were also in beautifully crafted outfits that I was pretty sure she had made personally and I saw her knit and crochet and tat and do all kinds of beautiful sewing but I never knew she made her living at it. I have an entirely new mental picture now of my grandmother as a teenage girl. New Fact: I knew the family lived at 10 Chapel Place in Ramsgate but I never knew how many rooms they had in their home. That information is provided in the 1911 census. I see that my great-grandmother Sarah (I mean Jane!) Simpson wrote that there were 14 rooms in the house. That's a pretty big place for 1911 England! But this number was crossed out and in an entirely different handwriting was written the number 7. Still pretty big. The instructions for counting the number of rooms states "write below the number of rooms in this dwelling (house, tenement or apartment) Count the kitchen as a room but do not count scullery, lobby, closet, bathroom; nor warehouse, office, shop" I was intrigued. I'm pretty sure there was no office, warehouse or shop there so what rooms did Jane count to get from 7 to 14? They had to be rooms referred to as scullery, lobby, closet or bathroom. She ran a boarding house so presumably there were extra bedrooms, each having its own closet. But is that what was meant by "closet" in 1911 England? A scullery is a separate room off the kitchen which held tableware so I'm fairly certain great-grandma's house had one of those. She probably had a lobby (what we might call a foyer or entrance hall). But that's only more rooms beyond the final count of 7. I'm assuming she had a parlour (a front living room) and perhaps an informal living room. She had a kitchen and I suspect a dining room due to having boarders. So that makes 3 or 4 rooms. Bedrooms - she must have had at least 3 for family and at least one extra f(she had one boarder in 1911). So we come to the final tally of 7 rooms. If Jane added the scullery, lobby and one closet for each bedroom (4) we get a total of 13. To get that first number of 14 rooms we might add that informal living room. Boring? Not to me. I can now form a pretty good mental image of my grandmother's home in 1911. I don't need to know the actual layout of rooms, although I would love to! I can still picture my grandmother rushing downstairs from her bedroom (no doubt shared with her older sister Lilian) to the kitchen to partake of breakfast before heading out to the shop where she worked. And so I learned another valuable lesson and yes you CAN teach an old genealogist new tricks! Never never never assume you know all there is to know. Leave no stone unturned, gather details and enjoy your journey into the past. I sat down with Joe Everett, Content Manager at Ancestry.com during the RootsTech Conference February 10-12. We only had a few minutes to talk so the first thing I asked Joe was why Expert Connect was discontinued. I mentioned there has been a lot of grumbling in the genealogy community about the sudden cut. Joe pointed out that he was not involved in the decision, but Ancestry as a company has many ideas and has to carefully consider where to invest. Right now their biggest focus is in delivering more records and improving the search experience for users. Other ideas and projects are secondary out of necessity. One of the questions the company asks themselves is “how much of our resources does this project take and how much does it contribute to our goals” They also look at whether or not a project or idea is cost effective. Joe remarked that he personally liked the idea of the service and he was hoping to offer his services in translating Russian and German documents. In his talks with genealogists, he found that many loved Expert Connect, and successfully used it to connect with clients, while others were not in favor of it. I asked if ProGenealogists, which has been acquired by Ancestry.com, is geared to pick up Expert Connect but Joe said, no, that ProGenealogists will not take over the ExpertConnect service. However, ProGenealogists will continue to provide genealogy research services as it has before and contribute to the Who Do You Think You Are series with research. My next question was about the acquisition of content. I asked if Ancestry is rethinking their plan for content acquisition in light of FamilySearch working towards the goal of digitizing and transcribing all their records and providing them for free to researchers. Joe informed me that Ancestry.com plans to continue adding much more content and has no plans of slowing down. Joe noted that Ancestry and FamilySearch have worked co-operatively in the past, for example the 1881 UK and 1880 U.S. Federal Census were collaborative projects. They have worked together on other projects such as improving the quality of images on the Ancestry site along with enriching the data. They are always looking at other ways to work with FamilySearch. Ancestry, Joe told me, brings one set of resources while FamilySearch brings another, and thus collaboration is a win-win. I wanted to talk about Who Do You Think You Are. Season 1 was very successful and now we have Season 2 which looks to be quite popular. I asked Joe if Ancestry is seeing a surge in traffic and subscriptions? Joe replied that usage of the Ancestry site increases dramatically during the time WDYTYA is aired, and that new people are being introduced to family history and Ancestry.com through the series. I wondered if we Canadians might one day get our own version of WDYTYA. Joe informed me that there was a season in 2007-2008 of Who Do You Think You Are? specifically produced for Canada. It only aired for one season. The shows official website is http://www.cbc.ca/whodoyouthinkyouare/index.php. Ancestry.com was a sponsor. If the producers decide to do another season of WDYTYA in Canada, Ancestry.com would be very interested. What about Mobile Apps, I asked. There is AncestryTree for iPhone but what else might be coming for mobile users. Joe reminded me that AncestryTree app has recently released an update. The update means that now users can view records and images that are attached to their tree, from within the mobile app. Joe explained that users could always see photos but now you can see the actual images and records on your phone. That’s a very cool upgrade! I have the AncestryTree app but haven’t done my upgrades for a week so I’ve got to get that one. I enjoyed my talk with Joe and want to thank him for giving up part of his lunch break to spend time with me! * Search 93 million improved records from all 50 states, Washington, D.C. and Puerto Rico, plus U.S. Military and Naval Forces — free through February 21. Ancestry.com partnered with NBC in Season 2 of Who Do You Think You Are? and last night was Rosie O'Donnell's turn. I wasn't sure I wanted to watch as I'm not crazy about Rosie. But I love the show so couldn't bear to miss it. I'm so glad I didn't! It was really interesting to follow along as Rosie traced her Irish ancestry on her mother's side. Having hard-to-find Irish ancestry myself (maiden name McGinnis is a clue...) I found new ideas presented in the show that I can use in my own quest. For example I didn't know that the Irish Poor Law Union records exist. Rosie was able to find details on her Irish ancestors in these records, as their emigration to Canada was noted in the Minute Books. My Roman Catholic ancestors were from Northern Ireland so today I had a quick peek at PRONI and learned that many of the N. Ireland Poor Law Union records do exist. Wow I am super excited! My Irish came over to Canada about the same time as Rosie's (ca 1845) and since Ships Passenger Lists to Canada were not archived before 1865, it's hit and miss trying to find records of immigration. Oddly enough I knew that England Poor Law Unions sent many poor to Canada as part of their local assisted emigration. But it never occurred to me that Ireland might have done the same thing! Irish Poor Law Unions began in 1838 (England's in 1834) so it's another tool for those of us searching for early Irish ancestors. I can hardly wait for next Friday's episode of WDYTYA! Labels: Ireland, WDYTYA, Who Do You Think You Are? Lamar Tyler and I sat down with Curt B. Witcher a few minutes after his keynote speech at RootsTech. Curt was on fire during his keynote speech. He was animated and passionate and a joy to listen to. One of the points Mr. Witcher made was that genealogists should not be afraid to take the next step beyond gathering information. After gathering the information it is important to analyse it, study it, organize it and SHARE with others. Mr. Witcher was still on a dynamic roll when he sat down with us and it was obvious that he is passionately dedicated to the idea of technology making genealogists lives easier and making it easier for us to share what we have, or what we discover, with others. Lamar started the interview off by asking how we can show our readers that it isn’t necessarily a huge task to start one’s genealogy. Curt responded that there isn’t a better marriage for technology than genealogy because emerging technologies make it possible for researchers to search millions of records quickly. Researchers can text, post on Facebook, fill in blanks in their family trees and quickly and easily share that information with others. Others can then add their own information. He added that technology has taken genealogy from researchers seeking, seeking and seeking for long periods of time without finding anything, to seeking and finding quickly. With more success more quickly we can start to put our stories together to share. Curt feels that the boomers are the key – they expect things to happen quickly and fairly easily and they have vitality and excitement. 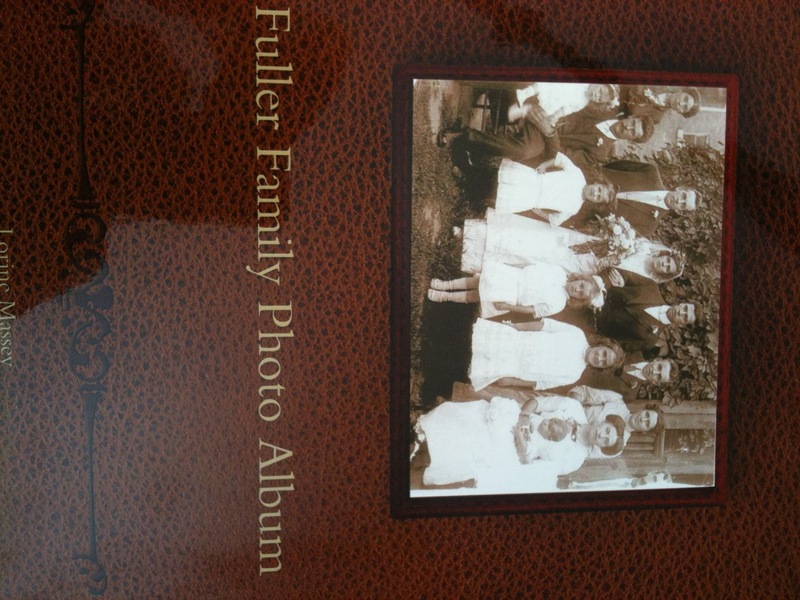 I mentioned that there are two groups of genealogists who might want to share their stories or photos or documents. The first group are those who have personal items (photos, documents, letters etc). They have never thought about sharing these items with others. The second group are people like me who have larger collections that they have put online. But these collections are still quite small and scattered. I asked Mr. Wichter how we can encourage the first group to share their memories and how we can help the second group to expand so that more genealogists can access the documents. Curt’s responded with the answer that he would like to see that dialogue initiated and continued between technologists and genealogists. He called small collections “walled gardens”, closed off for sharing easily with others. He has not yet found one good way to share more easily and that is why RootsTech was a great way to start the dialogue to try to find solutions. Curt mentioned that Wikipedia is a good example of sharing and sourcing where people post articles and others quickly add to them or correct them. Lamar wanted to know how we can encourage young people to become interested in genealogy. Mr. Wichter pointed out that young people already know the technology part. They are tweeting, texting, and setting up Facebook pages already. So we have to show them they can do the same fun stuff with family history! We need to encourage them so they end up wanting to know more. I wanted to know about Seniors and how we can encourage that group when many are very frightened of technology. Curt suggested that a trusted organization or a trusted invidual needs to show them the way. Seniors can get confused on complex sites and they often worry about identity theft or privacy issues. So someone like a grandchild can help them overcome those fears. Curt ended our interview by explaining that technology can add an extra layer to our relationships. 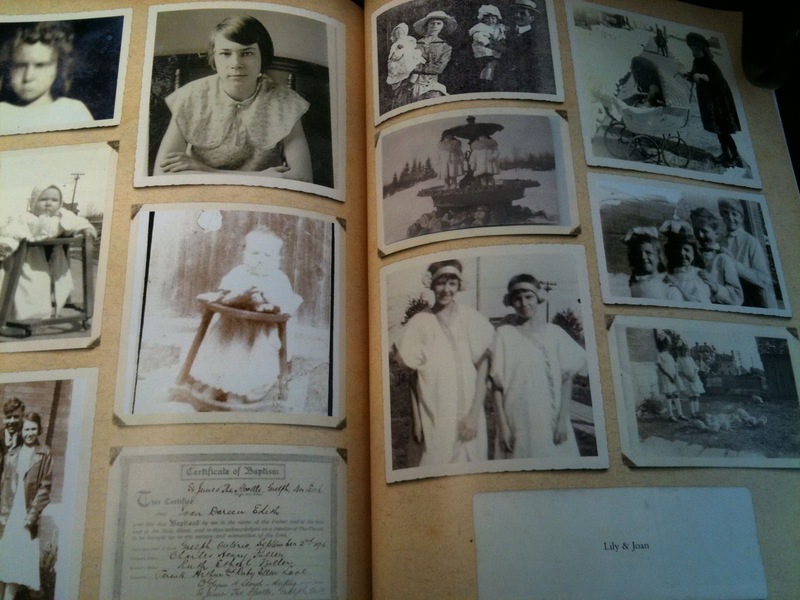 Family history and sharing keeps memories alive. It takes a family – children, parents and grandparents, to share and communicate and that sharing is a powerful tool. I'm Almost Sad that I'm Right! A few weeks ago I wrote a blog post called Who's Your Dadddy It was about my ancestor Betsey Norman who was born circa 1822 in Brixham Devon. An online source (in fact 2 online trees) showed different parents for her than I had. And the online information did have pretty good sourcing for all the material and info on the family. 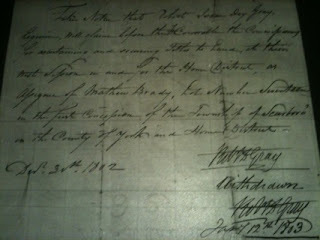 On checking my genealogy program I saw that I'd never obtained Betsey's marriage certificate to William Henry Williams. So I really couldn't be sure I had the right parents at all! I'd found a baptism record in the Brixham Church records and made the terrible error of assuming it was for MY Betsey! So I sent for the certificate of marriage from GRO. I'd also noted that the same source who had a different set of parents for Betsey had a different father for her husband, also my ancestor, William Williams. I was doubting myself big time. But I consoled myself with the thought "Hey, It would be kind of fun to have two entirely new lines to research!" Well, the certificate came today. And guess what? I was right. Both Betsey and William have the fathers I originally found for them. Betsey's father's name is given as William Norman, not Nicholas Norman as the online Family Tree has. William's father is noted as William Williams, not Richard Williams as given in the same online tree. 1847. Marriage solemnized at the Church in the Parish of Brixham in the County of Devon. June 13th. Betsy Norman, full age, spinster, dressmaker, residing Brixham, Father's name William Norman, Labourer. Married in the Parish Church. Witnesses: Sarah Bennett & Sarah Edwards Narramore. William signed an "X" for his mark. Now to search for Sarah Bennett and Sarah Edwards Narramore and see if I can figure out if they were friends or family! And I'll have to go and post comments (Corrections) on the two online Family Trees on Ancestry.com We'll see how that goes, in the past I've found people reluctant to give up their own ideas even when presented with a definitive source. Calling All Romantics! Bring Out Yer Love Letters!! I am fascinated by old letters. One of my websites PastVoices reflects my determination to bring these poignant old letters online. Now we have a very interesting call to genealogists to dig into their closets, their attics and their basements to look for love letters. MyHeritage.com is calling upon the British public to delve into their attics and shoe boxes to find ancestral love letters, and submit them via www.myheritage.com/loveletters. Participants are also welcome to submit more recently-written love letters and messages for consideration. Part of audience during the Keynote Speaker. Note the large screens on either side of the stage. There were four in total so even from the rear you could see quite clearly. Two screens showed the speaker, and two displayed presentation slides. Keynote Speaker Day 1. When the lights dimmed and the rock music started up and the stage screens turned purplish blue I thought I was at an Apple presentation and Steve Jobs would stride out on stage. Wow! Talk about impressive! Shane Robison, Executive Vice President and Chief Strategy and Technology Officer of Hewlett–Packard Company was extremely interesting. His talk started the Conference off on exactly the right foot. Next we heard from Jay Verkler, CEO of FamilySearch International. Great talk and Mr. Verkler gave us much to think about. We bloggers had reserved seats in the front rows for Day One. Note the plexiglass booths inside the Media Hub for our Audio and Video Interviews. Hmmm... I look mad, but I'm just concentrating as I type inside the Media Hub! View from The Roof Restaurant in the Joseph Smith Building in Salt Lake City. FamilySearch provided the Official Bloggers and Media with a wonderful dinner at this restaurant. The dining experience was amazing - good food and even better company. We met and mingled with FamilySearch personnel and other bloggers during the evening, and had a tour of the building. The bloggers! I had not met many before this night and this face-to-face meetup was great. FamilySearch provided a mini lab in the Exhibit Hall where dozens of computers were set up for attendees to use freely. 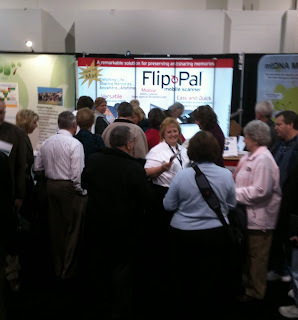 Flip-Pal booth was very popular. I had an opportunity to chat with two of their staff about the Flip-Pal Mobile Scanner. (which I bought last September and love). I received an email when the conference was over telling me they sold out of all the units they brought to the Conference. BrightSolid was one of the many sponsors of RootsTech and their booth was always busy with folks accessing records of Scotlands People for free. This photo was taken before the Exhibit Hall opened and that is why there are no attendees gathered around. Thomas MacEntee's Panel on Self-Publishing. From left to right - me, Dan Lynch, Lisa Alzo and Thomas. It was a great experience and I heard positive feedback from the audience so I'm very pleased about that. I was honoured to be asked to participate on the panel with such experienced self-publishers! Recently I had the opportunity to use the Family History Library in Salt Lake City for two wonderful days. I've been before so it was not new to me but I did learn a few new tricks which I'm happy to share with my readers. Joan and I have corresponded on Facebook, Twitter and by email but never met in person before. Joan is the owner of Luxegen Genealogy and Family History blog and we were both in Salt Lake as official RootsTech Bloggers. The first place we headed in the Family History Library was the floor for US and Canada microfilm. Once there we chose a microfilm reader. There are different options for readers - for left-handed users, for handicapped and for enlarging smaller microfilm. I chose a reader and my husband and I started to hunt for the film numbers I wanted. You are allowed to take 5 at a time from the self-serve drawers. The films are easy to find as there are large signs at the end of each row of drawers. These signs show the film numbers found in that specific row. We found our row and then looked down the numbered drawers. Each drawer has an easy-to-read sign showing what films are in each. I easily found the drawer I wanted and took 3 film boxes back to my reader. Soon I found a few documents I wanted to save. I had the choice to use the amazing film scanner the FHL has on site or my little iPhone app called ScannerPro. I opted to use ScannerPro since I had not played with it much before coming to Salt Lake City. Using ScannerPro on my iPhone I was able to easily and quickly scan the documents I wanted. Before processing the scans (right on my iPhone) I edited them with the easy-to-use editing options included in ScannerPro. Then I processed and uploaded the scans to Evernote (I could also have uploaded them to GoogleDocs or Dropbox) directly from the app. Using Evernote or Dropbox allowed the scans to sync to all my devices including my main computer back home. Technology at its best! Well, RootsTech ended on Saturday. It was an action-packed, stimulating conference! At first I wasn't sure how FamilySearch could pull off the seemingly unlikely combination of genealogy and technology, but they did. 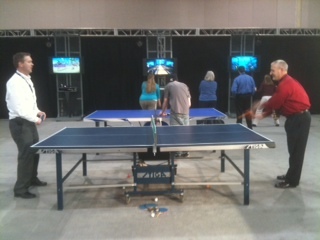 The excitement and eagerness in the Exhibit Hall and Meeting Rooms was palpable. FamilySearch pulled off an amazing feat of organization in just 7 short months. The keynote speakers were incredibly dynamic (I have an interview to publish with one of the speakers, stay tuned for that!). Presentations and group discussions were stimulating. Exhibitors showed items and had booths that invited participation from attendees. I interviewed several people (exhibitors, speakers, etc), both formally and informally and will be writing and publishing those sometime this week. Kudos to all involved in organizing RootsTech! 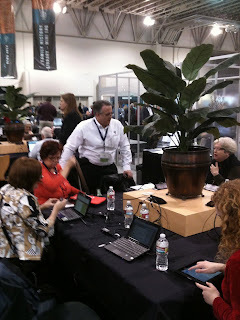 I'm definitely attending RootsTech 2012! Hope to see you there too. The Exhibit Hall and presentation rooms are still jam packed. I do see some signs of fatigue on the faces of those passing by the Media Hub but the general air of excitement is still apparent. It's been really interesting to see the blend of technology and genealogy and to learn more about the emerging interaction between the two. I just came back from attending Steve Morse's lecture on DNA which was quite fascinating. I hope you followed my live tweets throughout his talk. (@LorineMS on Twitter.com) Other bloggers were there too and also live-tweeting throughout. I'm hoping to get to the Bright Solid presentation after I have a bite to eat, then I have two meetings. Then I need to eat supper, then pack and get ready to fly home tomorrow! I can't believe RootsTech is almost over. The good news is that RootsTech 2012 is already scheduled from Feb. 2-4. Don't miss it! Well today is the last day of the RootsTech Convention. If you didn't make it this year try to make it here for 2012! There have been so many exciting and informative presentations, and the keynote speakers have been inspiring and interesting. I've gone around the Exhibit Hall dozens of times in the past two days but I keep spotting things I want to look at or ask about. The Flip-Pal booth has been packed with crowds. Ancestry.com booth was standing room only yesterday (and they have a very large space! 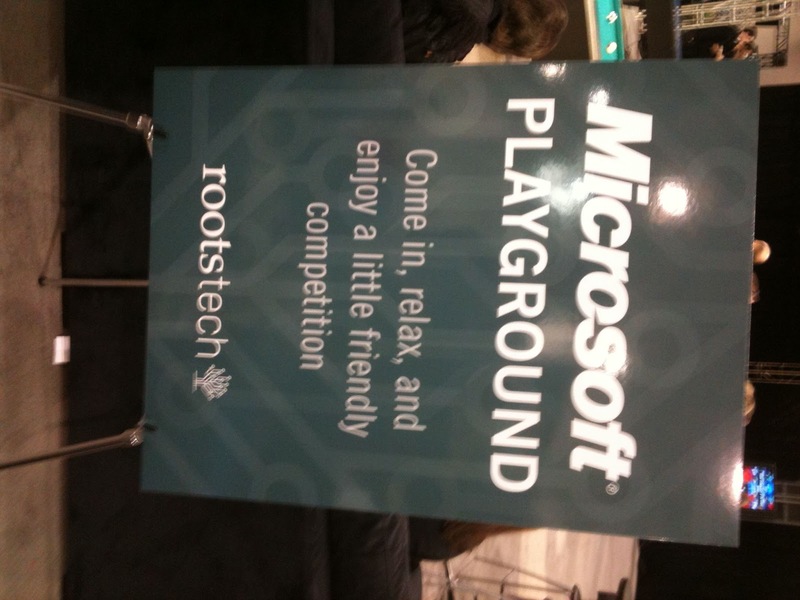 ), Microsoft Playground with its pool tables, ping-pong tables, chess boards, Xbox games and free massages has been very busy. The Cyber Cafe which provides free internet access on their computers always has lots of people. The Unconferencing board area is covered with ideas and room numbers and times to meet for those who want to join in the discussion. Unconferencing allows anyone to jot down a creative idea or discussion topic and invite others to join in. Very cool! A fellow blogger also noted what looked like a group of developers in discussions with various attendees throughout much of yesterday. It's great to know that developers are interested in merging technology with genealogy and are willing to listen to genealogists' points of view. Today I'm feeling a bit tired (make that exhausted!) so I've only scheduled one interview, which should be very interesting - with Jay Verkler, the CEO of FamilySearch. I'm also meeting with Ancestry.com and last night I met with Footnote.com personnel. Everyone I've talked to has been very willing to answer my questions. I'm going to try to get to as many presentations as possible today so stay tuned! As promised.... more photos from the great time called RootsTech! This morning's Keynote Speaker at RootsTech was Curt B. Witcher, Historical Genealogy Department Manager in Allen County Public Library. It was an inspiring and motivating talk and the very full room appeared to be captivated (as I was). Mr. Witcher made the point that this is the best of times for genealogists. Emerging technologies are allowing us to search for our ancestors more efficiently, and enabling us to find more information in a shorter time span. We can also share our stories more easily, and sharing is very important. When we find that document or record for great great grandpa, instead of carefully preserving it in acid free folders then closing the filing cabinet drawer, we should take that next step! The next step is to study, analyze and evaluate what we found AND share it with others. Sharing gives us power and helps us hold on to memories. The talk was very inspiring and if you ever get an opportunity to hear Mr. Witcher, please do yourself a favor and go! After I left the speaker room and returned to the Media Hub, I had an opportunity to interview Curt. I'm very excited to write up my interview notes and share that with my readers so stay tuned for that sometime next week. Today is Day 2 of RootsTech. I'm planning on making it to a few sessions and looking forward to hearing some good presentations. I thought it might be fun to share some photos of events and places some of the official bloggers visited yesterday and the day before. One of the places we went was The Roof restaurant in the Joseph Smith Building. It is a beautiful building which used to be a hotel. The restaurant was amazing - wonderful food and gorgeous view of Salt Lake City. It was my first time meeting face to face with many of my Facebook and Twitter friends. Getting a chance to know everyone was delightful. Okay I confess. 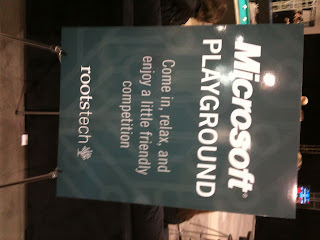 I took a break and played at the Microsoft Playground at RootsTech. I tried River Rafting and Boxing on the XBox360 and it was a lot of fun. 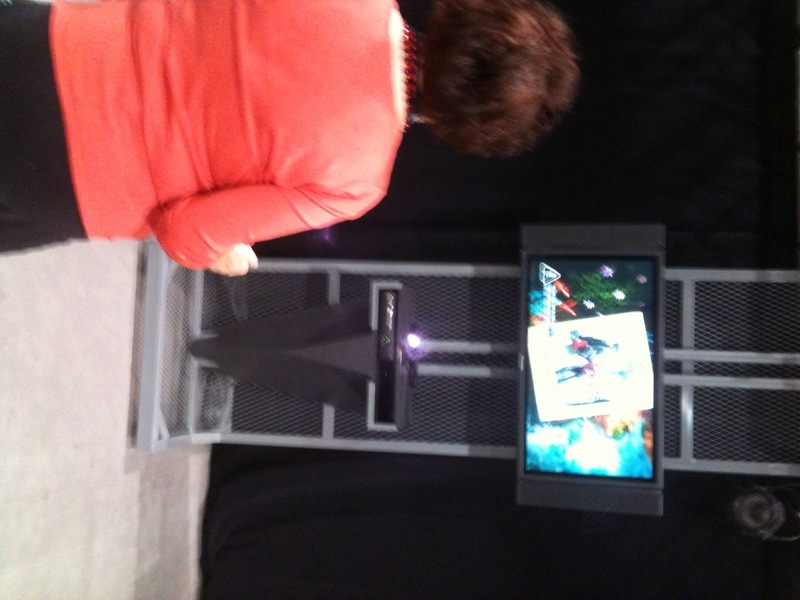 Then I moved on to Flip-Pal Mobile Scanner booth and had a nice long talk with the designer of the user interface. We took some photos and I'll share those in a blog post I'm going to write about what's new with Flip-Pal. I had time to interview a member of Ancestry.com and asked several questions I think readers will be interested in. I'll be posting that interview sometime next week. My next stop is going to be a workshop session and then, at 4 p.m., I'm on an Expert Panel discussing self-publishing with Thomas MacEntee as moderator. It's going to be fun and I hope helpful to those thinking about dipping their toes into the self-publishing water. Wow. It's a zoo! A good zoo. Approximately 3,000 people have registered for the RootsTech innovative technology-genealogy convention. The Exhibit Hall is packed and that's a good thing. The Official RootsTech Bloggers began our day with a 7:15 am Media Breakfast, orientation and tour. Then we were escorted to our reserved seats for the keynote speaker. That was really helpful as I was in the second row and could hear and see, and boy it was worth it. The keynote speaker was Shane Robison, Executive Vice President and Chief Strategy and Technology Officer in Hewlett–Packard Company. He stressed that it's all about Information now in this emerging technology world. It was a very informative talk, and he gave several interesting statistics on the numbers of people in the world who are connected. I found it interesting that internet connected users almost equal cell phone users in the USA (due to the use of smartphones) but that is not the case in countries such as China were smartphones are not the norm. Next we heard from Jay Verkler, CEO, FamilySearch International. I can describe his talk in a few words. Fascinating and real. By "real" I mean the points Mr. Verkler made had meaning to real life genealogists. Technology does combine with genealogy and both camps can benefit and learn from each other. He demonstrated how quickly technology is evolving with a simple illustration using Google. A search for "NGS" brought up the website as the third choice. When he searched for the same term the next day, the website was in first place. Why? Because Google learned what he wanted from his first try! I haven't had a chance to explore the Exhibit Hall or get to any Workshops yet. There was no opportunity to blog or tweet during the speakers as there is no WiFi connection except in specific locations in the Salt Palace Convention Center. Back in Bloggers World my personal woes continued as my MacBookAir did not have the right connection for the Ethernet Cables provided. However FamilySearch staff solved the problem very quickly by finding a participant who had a personal WiFi device. She was very kind and allowed me to use her password to connect to the Internet. I love the co-operation and sharing at this event! Great news for those who are unable to get to Salt Lake City and RootsTech conference! · 3:00-4:00 p.m., The Power of PDF: Tools for Every Genealogist , D. Josh Taylor, Director of Education and Programs at New England Historical Genealogical Society. It's hard to sleep when you're excited and looking forward to getting up and getting going in the morning! At 5:30 am local time I found myself wide awake, head churning with ideas for genealogy research in the Family History Library. Had a very nice buffet breakfast at our hotel - courtesy of the free buffet breakfast included in the RootsTech special deal on rooms. Then my husband and I headed to The Gateway Mall to do a bit of shopping. There is a free tram you can take for part of downtown Salt Lake City, so we got on at Arena Station (not far from our hotel) and off at the next stop, Planetarium. That lets you off near the south end of the Mall which is an outdoor mall. It's very big and is two storeys of shops and stores. There was a dusting of snow on the ground, and it was cool but for us it was almost balmy! Canada is much colder where we live and there is a great deal more snow. I can't do much walking even with my cane but for most people it is quite do-able. I knew I could not walk far but really wanted to get to three stores (one being the Apple Store, something we don't have anywhere near where we live) After seeing the distances involved I figured I'd be lucky to make it to one. I was so thrilled to find out that all three of the stores I wanted to get to were side by side! I told my husband it was pretty nice of the city to move those stores just for me.... After our brief shop, we took the tram back to our hotel and had lunch. To my surprise it was excellent! I don't usually like hotel food very much. Then the real fun began. Off we went to the Family History Library. Even though it is quite close (2 blocks), I simply could not walk anymore and we set off in a taxi. Up to the US/Canada Microfilm room and we picked our readers. There were lots of empty ones, even readers for left-handed people and for the disabled. Even though I have physical challenges I can use a regular reader so did not need to take one that others might need more. The films are for the most part, self-serve, so you just need to have your film numbers written down and off you go to the drawers (row after row after row) and get the ones you want. You're allowed a maximum of 5 at any one time. We had good luck, as both hubby and I found records in the Heir & Devisee Committe microfilms (I'll blog about those records in a future post) which are unindexed. Then the tweets started coming - there were several bloggers and Twitter folks in the library and we were trying to find each other. Later I met fellow genealogist Marie who is also active on Twitter. She flew all the way from Scotland for RootsTech! We also met a cousin of my husband's through his Facey line. We've chatted with Diana on email but never met her before. Library staff allowed us to sit in the Orientation Room to visit. Later tonight a few of us are heading out for a casual dinner and of course - genealogy chit-chat! Tomorrow should be exciting as many bloggers are arriving. I suspect our hotel will be buzzing with genealogists and bloggers by noon. One more day to research then RootsTech! I'm getting more excited about it as it draws nearer. I'll attend as many workshops as I can and I'll tweet and blog as much as possible. Some of the workshops are going to be freely available online for those who can't be there so I'll give you details on that later. Arrived at Salt Lake City for RootsTech! Well, I'm here! I just checked in at my hotel in Salt Lake City. My journey began on Sunday at noon when I left for "The City" and an overnight stay at a Hotel near the Airport. 4:30 am came mighty early! But I was up and ready to go by 5:15 (not bad). Customs was easy as pie at the Airport. I was expecting a hassle or nightmare or both but the airport personnel were helpful and pleasant. It was a very small plane for the first leg of our journey to Denver Colorado. And we were in the very last row of seats right by the washrooms. Not pleasant. But on the bright side, I didn't have far to walk and so didn't have to use my cane from my seat to the washrooms. Yay! Wheelchairs were there and waiting at each step of the journey so that was a nice bonus. Then came the last leg, from Denver to Salt Lake City. A bigger plane, more comfortable seats but a few annoyances. You know the kind you get when travelling anywhere - a guy in the seat behind me kicking and pushing on my seat the entire flight. Guy two seats away (same row) using his iPad as a torture device by flashing the sun in my eyes the entire flight. Guy beside me playing his iPod so loudly that even with his earbuds I could hear every word. And worst of all, a baby that messed its diaper and wasn't changed... But onward and upward, grin and bear it, we arrived safe and sound about 2:30 local time. Took the Express Shuttle (only $8.00 per person) to our hotel and checked in with no problems. Just before we went to our room I grabbed a Cappuccino at the coffee shop in our hotel lobby. Oh boy was it ever good! Interestingly enough when we finally got into our room with our luggage and coffees in hand, it was exactly 12 hours since we got up this morning. It's a journey but one I'm so excited to be on! Discovered I left some clothing at home that I wanted, so tomorrow will go shopping for half a day and hit the Family History Library the other half. 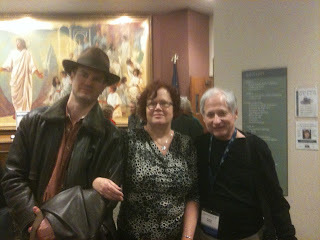 Tonight I hope to meet up with Joan Miller, another RootsTech Official Blogger, and perhaps one or two other early arrivals. You can follow my Tweets on Twitter at @LorineMS and Joan's Tweets at @Luxegen. We'll be tweeting non-stop about RootsTech (starting this Thursday) and I'll be Tweeting about my adventures in the days leading up to RootsTech. But now I'm going to lie down and have a short nap! It's been a long two days. It's almost time for me to leave for Salt Lake City and RootsTech! I'm flying in a few days ahead of the conference which is Feb. 10-12. That will give me time to rest up from my long journey and to visit the Family History Library to do my own personal genealogy research. I'm pretty excited. I've been to SLC before but not for about 5 years. Since it's almost impossible for me to obtain FHL microfilm where I live, I look forward to these trips to do the research I can't do here. This trip I'm having trouble deciding on a research plan! I know from experience that I must have a plan, and lists of films and books I want to consult or my limited time in the Library is wasted. I'm torn between researching my mother's English ancestry (SLC being the only place I can consult the records I need) or some of my more challenging Ontario Canada lines. I *want* to research my Canadian brick walls but I know that it is more efficient for me to do that English research. But it's more fun for me and much more of a challenge, to do the Ontario stuff. I can get most of the Ontario records with a trip to the Archives of Ontario and a few other repositories so even though such a trip is not easy for me, the fact that it's "do-able" is weighing heavily in my decision. I've given myself til the end of the day to decide. Tomorrow I have to hop to it and get the list of films that I need and figure out my plan of attack. I may be kind of quiet over the next few days, but once RootsTech starts you'll be able to read my daily blog posts, follow my tweets on Twitter at @LorineMS and watch here for any videos I manage to create. Ancestry.com partnered with NBC in Season 2 of Who Do You Think You Are? Viewers followed Vanessa Williams on her journey to find her father's ancestors. She learned that on both sides her ancestors included men who blazed trails and opened doors. I drooled when photographs of two of her ancestors were shown to her. One was a black ancestor who fought in the Civil War and had sent a tintype of himself in his uniform when he applied for a pension. It was wonderful to see Ms. Williams' reaction to each new bit of information. Best of all, the constant rehashing after every commercial, as we endured during Season 1, was absent! It was a very welcome change - to jump right back into the story after a commercial instead of repeating what we'd seen before. It was also encouraging to see Ms. Williams taking notes and to see the research steps taken and suggestions for further research she would have to conduct. All in all I thought it was the best episode shown to date. I'm excited to see next Friday's episode! What can I say? It's a Treasure Trove (pun intended) of goodies. Trove is one of my favourite sites for information on my Australian and English ancestors and branches. I was pleasantly surprised to find mention of my Great Grandfather's death (he died in Ramsgate England) in a Sydney newspaper! I found quite a bit on my Stead and Simpson relatives and have only just begun searching. The onsite newspapers start in 1803 and go to 1954. So if you have English or Australian ancestors or connections, give Trove a try! My son created a nice little book which he gave me for Christmas, and seeing how good it looked, I decided to give it a try. There are many many choices on Lulu.com, from Photo books to Text. There are also many choices as to size of book, and binding and paper. It's all very nicely laid out and not hard to follow. You can have printed copies sent to you directly or you can publish your completed books on Lulu where they will sell them on your behalf, or you can have them available on Amazon.com - it depends what your end goal is for your books. For my first attempt I decided a photo book would be the easiest. 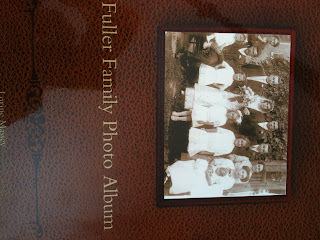 I wanted to create a book with all my old family photos from my maternal grandfather's family. I could then give copies to my family and that would preserve the old photos as well as share them with others who have never seen them. The Photo Book on Lulu has templated pages which have the "slots" for photos already laid out. You can also substitute one style page with another. The basic photo book has 20 pages so I chose that in 8 1/2x 11 size, something I am familiar with. The text books have a template you can download which has pre-set margins for working in WORD. But I decided I didn't want to spend the time right now to figure all of that out. I'm glad I chose the photo book template. It was easy to work with - just upload your photos and they appear in a side "tray" where you can easily move them to the page and the photo slot you want. Not happy with your first placement? It's easy to remove a photo from a slot, put it back in the tray and then think about where it might be better placed. I did end up changing page templates several times. It was easy to play around with and try various placements. The only drawback is that you cannot add a brief text caption to your photos. I consider this a major flaw, but there are a couple of template pages that have a large text area at the bottom of the page. So you could enter text describing each of the photos on that page. I did that for a few pages but I didn't want every single page in my photo book to have the same layout. Finally I had my cover designed (I chose a ready-made template) and the title entered and all my photos arranged. This is actually where the most challenging part of using Lulu.com happened! I had a bit of trouble figuring out how to publish my book. I downloaded the proof copy as they suggested. But when I went to publish 6 hard copies to be delivered to me, I started to flounder. Information about my earlier choices (type of paper, colour versus black and white, size, binding) were displayed. But nothing looked familiar! I had chosen 8 1/2 x 11 paper but the size shown me was in cm not inches. Perhaps it is just me and how my brain works (or doesn't work!) but I did find it challenging to actually order my printed books. However the good news is that I ordered them, they arrived within three days (amazing speed from USA to Canada), and they are gorgeous. The photos that had warnings are perfect. The quality of the cover and pages is excellent. The book looks very professional and I can hardly wait to give copies to family! My next book is one I am creating on Lulu with a downloaded template for WORD. It's another photo book but this time I'm adding text and stories as well as photos. So far, so good! I'll talk about that once I have the final products.